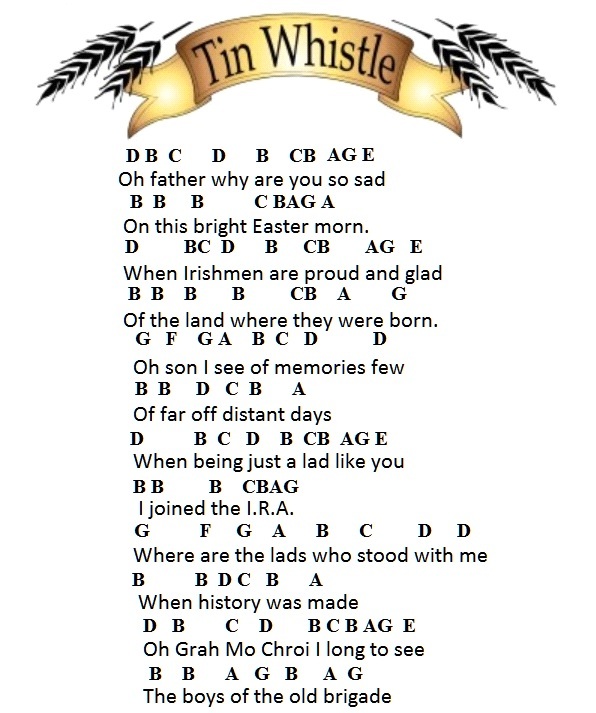 The Boys Of The Old Brigade Sheet Music And Tin Whistle Notes written by Pat McGuigan and recorded by The Wolfe Tones. There's an easy to read version for learners of the whistle included along with a video to help learn the tune. The version I'm playing is different than the sheet but the same as the first set of notes.